People come to intuitives for answers. About their love lives, their finances, their children, their parents, their futures. And often about the Huge Questions of Life, the Universe and Everything. At the same time, the majority of my clients don’t know how to ask the right questions. 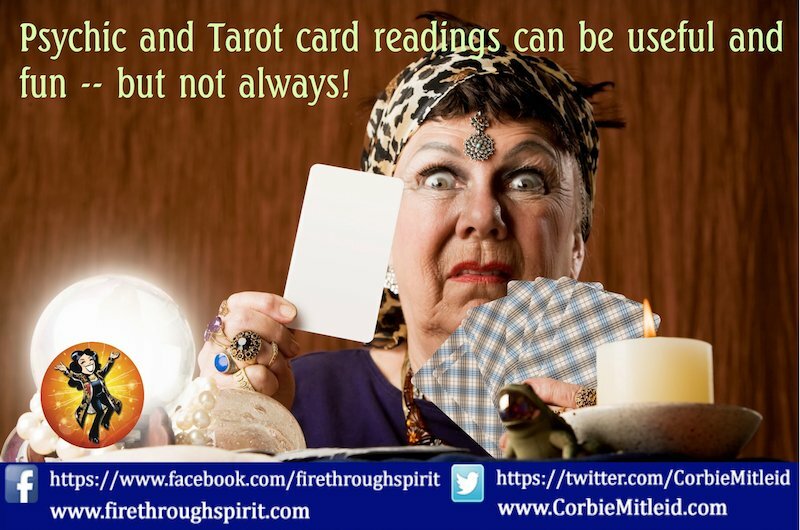 This article will explain why some questions aren’t appropriate – and why some questions lose their value if a psychic answers them, regardless of what the answer might be. What was my soul’s plan for this life? What lessons am I to learn? What is my higher purpose/mission and how do I do it? While it’s valid to want to learn about such things in order to complete life challenges, these questions are too all-encompassing, and not something an intuitive ought to tackle. Why? Because figuring out our soul’s plan/lessons/mission is part of our life’s journey. And to ask an intuitive “what’s the plan” as if the intuitive could explain the entire thing in an hour is neither feasible nor useful. It’s like my asking you to tell me everything about your life since birth – in detail — in 60 minutes. Even if I could do a multi-hour session without exhausting myself (or you! ), to merely dispense this monumental and vast cache of information without your having the chance to explore, learn on your own, or piece things together dismisses the entire reason you set yourself these challenges in your prebirth planning session. We come down here deliberately forgetting our unity and our complete plan in order to recreate/reconstruct it through our experiences. That’s what’s valuable, and is the precious treasure we bring back Home when we transition after a life filled with learning, understanding and sharing. If you can trace a particular pattern of behavior or occurrences and want to know why it occurs, how to stop it, or how it serves you, and those questions key us in to an important challenge, then that’s valid to review. Such information can lead to vast improvements in the quality of your life and your road to Self. But settling for the simple What am I to learn? What is my plan? is like asking your professor to let you look at the answers before you go into your exam. How much would you really learn? And how much would you treasure those answers, so easily gotten? Am I supposed to write a book? Why do I constantly feel like I am supposed to do something related to writing? Why do I seem to constantly diminish my creative talents in favor of more commercial activities? How can I stay true to my vision yet survive financially? Alcohol has always played a role in my life (first father’s addiction, then taken on by me at the time of his death). Is what looks like a character weakness on my part actually serving a higher purpose? Recently I have become interested in some special courses in Energy Medicine and am wondering if it is the right direction for me as far as added education to improve my ability to help those I work with as well as for my own spiritual growth and physical healing. I have a deep soul urging to learn things to help myself and my clients but I want to make sure I’m taking the course that best fits with my purpose in this lifetime. There is an ongoing issue with my husband and I. Sexual energy has not been there and never was and for some reason this has become an issue for me since I’ve gotten older. I’ve suppressed this for years and have been looking at it over the last few years in relation to my health and as part of my spiritual development. I know you can’t tell me to leave or to stay but if you could help me to understand what purpose is being served by this relationship that would be helpful to me. In these questions, each client has identified a stumbling block that appears to have some duration, and so looking at how to clear that block moves their life energy forward — not only in the challenge they pinpoint, but also in many tangential areas of their lives. In other situations, they might note a pattern of desire – service through healing… the inspirational life… or the need to create something beautiful, purposeful, or enlightening. Remember, too, that to address every single challenge in your life (near death experiences, a traumatic relationship with your mother, a challenging love relationship, why you can’t have children, etc.) would overwhelm both of us. All of these are deep questions deserving sufficient time for investigation and settling the energies of the answer within your own emotional and spiritual purview. To expect to get and incorporate a mountain of important and emotionally charged answers from one session is asking for failure – and a heck of a headache. So – how does one ask the right Major Life questions? FIRST: Take some time for self-examination in order to form the questions. Do you have a repeating pattern, a stumbling block, something that always trips you up no matter what you do around it? Is there a part of your life that means a great deal to you (career, relationships, security) that you need to improve in a deep manner? Note how long the need for answers has been with you. Has it been building gradually, or was it triggered by a person, event, or internal epiphany? SECOND: Note how long the need for answers has been with you. Has it been building gradually, or was it triggered by a person, event, or internal epiphany? THIRD: Make sure you are completely ready to hear whatever the intuitive has to say regarding the answer. As always, they may not tell you what you want to hear (“yes, you were meant to be a great ballerina”) but what you need to hear (“movement is vital for you, but more in terms of Tai Chi or yoga than performance art”). The determining of one’s life path and incarnational mission is central to our flowering as a medium of joy, service and completion. But in this case, it truly is the journey that is most important aspect of your road, not the destination. Take your time with it…savor it…put your heart into the journey. And what you will gain will not be simply an answer, but a beacon to light up all the roads here in Earthschool you find yourself traveling.